Found 4 file extension associations related to Personal Finances and 1 file format developed specifically for use with Personal Finances. 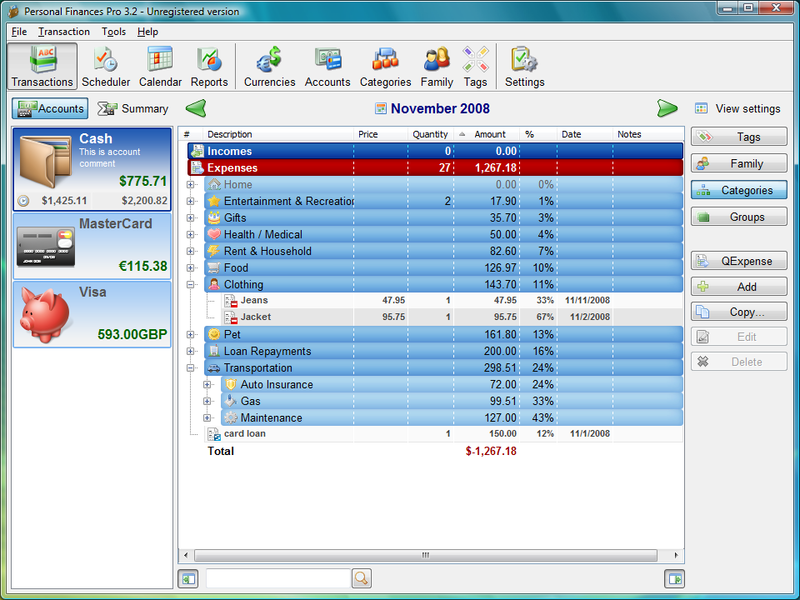 Personal Finances is an elegant, super easy personal finance application for home users. With a glance at its summary view, reports and graphs, the user will gain deep insight into the financial health of the family budget, pinpoint areas of excessive expenditure and trim the budget. Featuring the scheduler, the program also enables you to track expected income, spending and see how much money you’ll have at a future date. If you need more information please contact the developers of Personal Finances (Alex Shirokov), or check out their product website.